I’m a big fan of a filled-in brow. 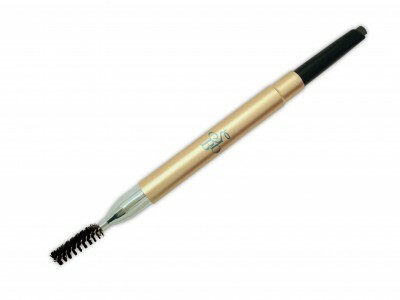 Even the densest of brows can benefit from a little shaping with a pencil or shadow. Personally, I find it easier to work with a pencil, but the unique shape of Sania’s Brow Bar Angled Brow Pencil ($25, saniasbrowbar.com) makes it totally foolproof. The wider edge of the pencil works perfectly for filling in the thicker part of your brow while the thinner side helps define the tail after the arch and offers more precision. Bonus: the other end holds a spoolie brush so you can just flip it around and comb through to blend the color for a more natural look. It has everything you need for amazing arches in one easy-to-use pencil, and it never needs to be sharpened (score! ).